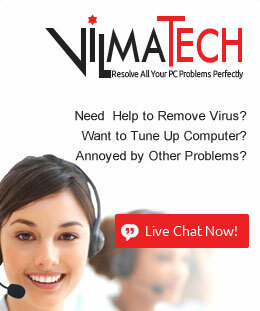 VilmaTech.com > VilmaTech Blog > How to Access Facebook in China? Using A VPN? I just come to China and have a try to Shanghai, I have took come pictures with my friends. Now I am trying to share some pics and storied in Facebook, but I find Facebook can’t be accessed. How to access Facebook in China? The internet connection is still on, and I try to restart my iPhone several times, but it doesn’t work. My friends say Facebook is blocked in China actually. I want to log in Facebook to contact my friends and relatives. How to access Facebook in China? what’s the best VPN to solve this problem? Why Facebook is So Popular? Facebook is a very popular online social media and social networking service. More than one billion people are active on Facebook. More than 100 million people use Instagram every month. You can keep up with friends faster and easier by using Facebook. You can share updates and photos, engage with friends and pages, and stay connected to communities you like or important to you. You also can keep up with the latest news and current events around the world on Facebook. You are able to subscribe to your favorite celebrities, brands, news sources, artists, or sports teams to follow their newsfeeds. It is easy to watch live streaming videos and catch up on the latest happenings wherever you are. Why Facebook can’t be Accessed in China? Many netizens, whether you are living in China or just travel to China, should know that many websites and apps like Facebook are not allowed to access in China. Domestic internet in mainland China is strictly controlled and regulated by the government. 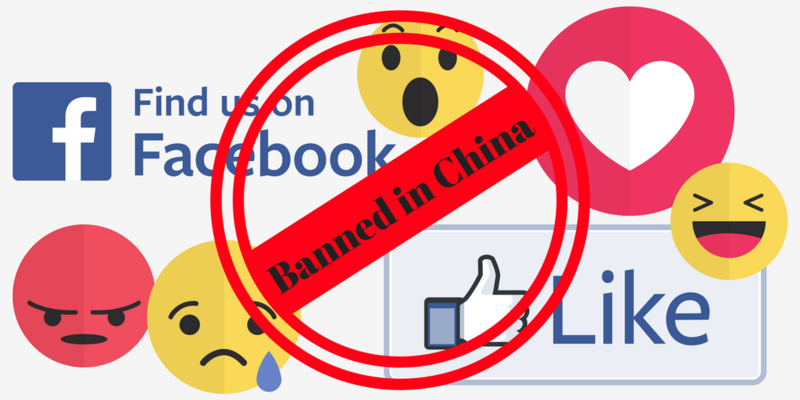 Many popular foreign websites and apps including Facebook, Twitter, Instagram, YouTube, Google, Gmail, WhatsApp, Snapchat, Viber Messenger etc are also blocked by the internet censorship in China. Since 2009, Facebook has been blocked. It is supposed that terrorists use Facebook to spread and propagandize their politics. Therefore, China creates the strong internet censorship. any potentially unfavorable contents will immediately be banned by China’s internet censorship. Therefore, the strict internet censorship is China is called The Great Firewall. China government keeps upgrading this Great Firewall regularly, and now it becomes the harshest and strictest internet censorship in the world. China’s Firewall is a sophisticated net censorship system both limits the places people can go online and what they can search for and discuss. The Great Firewall plays a crucial role in the Internet censorship in China: blocking access to selected foreign websites and to slow down cross-border internet traffic. The effect includes: limiting access to foreign information sources, blocking foreign internet tools (e.g. Google search, Facebook) and mobile apps, and requiring foreign companies to adapt to domestic regulations. The GFW system severely restricts access to certain websites, blocks the Tor anonymity network and all public relays, prevents news and social-media websites like Bloomberg News, the New York Times, Twitter, Instagram and Facebook and free hosting services owned by foreigner. That’s why Facebook can’t be accessed in China. so, how to access Facebook in China? what’s the best solution? How to Access Facebook in China? Using A VPN! Since Facebook together with other popular social media apps is blocked by the GFW system in China, many netizens figure out different ways to bypass the Great Firewall. however, the most reliable and strongest way to access Facebook and other popular foreign websites and apps is to use a reliable and certified VPN service. here you’re suggested not to use a free VPN service, as free VPN does not offer stable connection or fast speed. Besides, Free VPN is not so secure as it may log your usage of VPN. VPN service is prosperous in China. 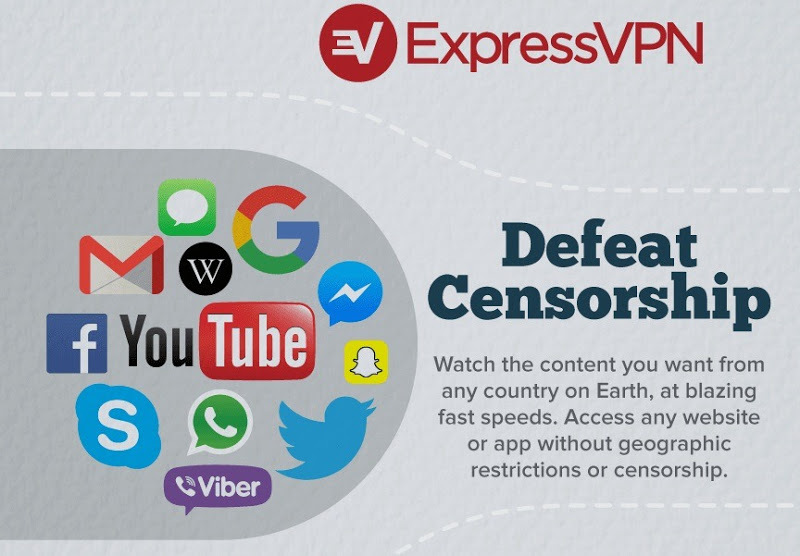 VPN is now used by more and more internet users mainly for circumvent the censorship like Great Firewall and unblock websites from anywhere wherever they are on the go or at home. Why VPN can help you bypass the Great Firewall to access Facebook and other websites in China? how does it work? VPN usually masks your real IP address and replaces with a new IP address to change your real location, which can geo-spoof the websites you want to visit. VPN allows you to create a secure connection to another network over the Internet. VPNs can be used to access region-restricted websites, shield your browsing activity from prying eyes on public Wi-Fi, and more. A VPN client provides a secure and encrypted network which is created over the public internet connection to enable the users to hide their identity over the worldwide web. It hides your internet activity from your ISP and government, allows you to escape from censorship controlled by school, work, your ISP, or government, enables you to “geo-spoof” your location. Once you run your favorite VPN tool on your device, VPN creates secure and encrypt tunnel between your device like computer, smartphone and tablet and the servers. All your internet traffic will just go through this secure tunnel and no one can access, collect or monitor what you do and your information on the internet. on other aspect, VPN masks and changes your IP address, you can keep your internet traffic private, get around the government surveillance like Great Firewall in China and escape from geo-restrictions. To make you access Facebook as well as other blocked websites from China, the VPN tool should have strong encryption and secure VPN protocols. Almost powerful and trusted VPN services are powered by the newest advanced encryption AES-256 encryption and multiple VPN protocols including OpenVPN, SoftEther, IKEv2, PPTP, L2TP/IPsec, SSTP. All these features can strongly protect and encrypt the internet activities of users first. ISP, government, hacker and snooper will not be able to watch or monitor what you’re performing online. What’s the Best VPN to Access Facebook in China? What are the Recommendations? IPVanish VPN is the only true Top Tire VPN service in the world. It delivers the best VPN speeds. IPVanish VPN offers the most secure connections and the most competitive pricing anywhere. The IPVanish network spans 40,000+ IPs on 1,000+ servers in 60+ countries, giving you the ability to surf anonymously and access the unrestricted Internet every corner of the globe. It applies the advanced standard encryption 256-bit encryption to strongly encrypt all your internet traffic. IPVanish carries out strict zero-logs policy which never logs internet user’s online activities. IPVanish offers unlimited bandwidth, unlimted P2P traffic and unlimited server switching. IPVanish allows anonymous torrenting and provides SOCKS5 web proxy. You are allowed 5 simultaneous connections on multiple devices with one IPVanish account. IPVanish also gives strong VPN protocols like OpenVPN and L2TP/IPsec protocols to encrypt internet traffic. Friendly-use apps and software of IPVanish are compatible well with all popular systems like Windows, Mac, Android, iOS, Linux and routers. IPVanish VPN also works with Apple TV and Kodi and other smart TV and android TV. With an IPVanish VPN, you can access to any censored apps and websites from anywhere around the world. And now IPVanish is providing the big discount 46% on yearly plan and also offers an extra 20% off coupon code on all plans. IPVanish offers you a complete privacy and security on the internet. Never miss out on the biggest discount and the 20% off IPVanish coupon code! Over the years, NordVPN became a trusted online security solution, used by over hundreds of thousands of Internet users worldwide. Meanwhile, NordVPN became recognized by the most influential tech sites and IT security specialists. It is now one of the most trusted privacy and security service provider in the world, known for the strongly held values and well thought-out features. NordVPN covers over 3300 servers to choose from 60 countries. NordVPN is intuitive and easy-to-use VPN service, available on macOS, iOS, Windows, and Android operating systems. In fact, you can link up to 6 multiple devices simultaneously with single NordVPN account. Innovative security measures like military-grade encryption 256-AES bit, kill switch, Onion Over VPN, CyberSec and Double VPN are adopted to create an extra layer of additional security. Unlimited bandwidth, unlimited server switch, no logs policy. With NordVPN, you can securely access any website from anywhere around the world, safely share files via P2P network and enjoy the fastest VPN experience without compromising your online security and privacy. NordVPN lets you access the internet without censorship and surveillance like the Great Firewall in China. It starts $3.29/month and offer 72% discount on 2-year plan. Price: there are some free services on the internet, but you should avoid free service as the VPN service may be as stable and fast as the paid one. What’s worse, your personal data and information may be collected by the provider. It is actually not secure. You should look for a paid service that suits your budget. Money-back guarantee and free trial policy: when you’re looking for the paid service, you should check if there is some money-back guarantee or free trial. 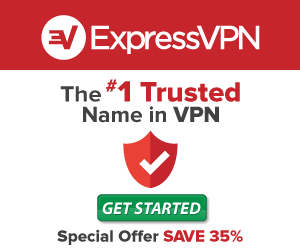 Some VPN providers offer 30-day money-back guarantee like Express VPN, some 7-day money-back, but most certified and reliable VPN service doesn’t offer free trial. But actually if it has money-back guarantee, you can still can have enough time to test all features and performance of the VPN you need. If you’re not happy with the service, you can ask for a refund. it will depend on details of money-back guarantee regulated by the VPN provider if you can get a full refund. Therefore, you need to read carefully the money-back guarantee. Bandwidth and Server Switching: usually the reliable and strong VPN offers unlimited bandwidth, no download limit, no servers switching. Connections Protocol: When you’re researching VPN providers, you’ll see terms such as SSL/TLS (sometimes referred to as OpenVPN support,) PPTP, IPSec, L2TP, and other VPN types. All of these protocols will provide a secure connection. Some communication protocols are more secure than others, and some VPN providers may not necessarily use the same protocols. You want to choose a provider that uses OpenVPN to connect all of your devices. It is considered one of the most secure. Supported Device: you need to check if the VPN you want to select offer apps and software to support different popular system like Windows, MacOS, Android, iOS and Linux and extensions for Chrome, Firefox and Safari. Simultaneous connection: It’s important to select the VPN provider that offers multiple protocols with many simultaneous connections on multiple devices. And you should check if you can connect multiple devices with one account or not. Anyway, by comparing and you can choose the most suitable VPN provider according to your meets. Corporate and Exit Locations: under what jurisdictions VPN service operates and what requirements it has for collecting data. Your service’s location and the “exit locations” you can choose that identify the country you’re browsing from are key considerations. If you want to watch the BBC iPlayer service, for example, your VPN service provider will need servers in the UK. If you’re concerned about privacy or state-sponsored snooping, you may want to pick a service operated outside of your home country. It’s important to make sure a VPN has servers in multiple locations — or at least the location you’re interested in — when shopping.